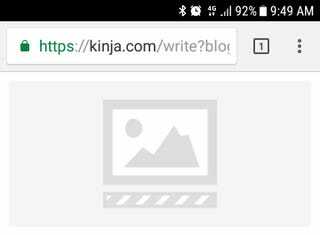 Anyone else having mobile image upload issues? Sometimes, when I’m on mobile data images refuse to upload no matter how good my cell service is. The loading bar just sits there spinning forever. I know it’s not my carrier because I can upload to other sites just fine.